The property has a nice shared area outside where you have your lunch/dinner near to the swimming pool. When leave the room there is room where leave baggage and shower/toilettes. Beautiful location without too many crowds and near the beach. The pool is awesome as well! Great pool, basic but comfortable and clean room . 5mins walk from perissa beach with lots of beautiful restaurants and nightlife. Excellent price and great location and very helpful friendly staff ! Brilliant stay all round and would definitely stay here again !!! 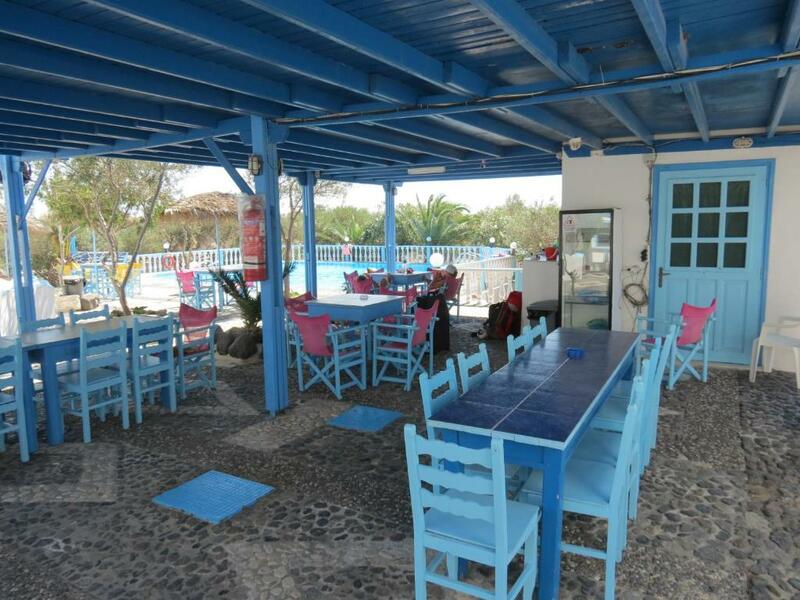 Owners were particularly helpful in a medical situation...proximity to the beach and tavernas. The room was spacious and had a very quiet neighbourhood. Its so close to beach, which made me not taking advantage of the pool. 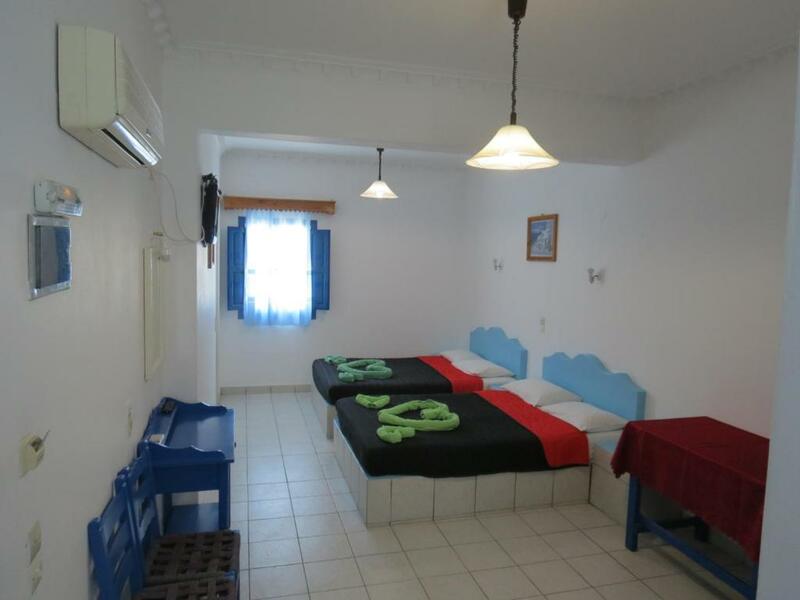 Everything needed was placed in the room and air conditioner worked very fine, which is very important for hot temperature in Santorini. A perfect holiday! We were four friends and we have been in one of these apartments. The owners were very friendly and available for anythings; this apartment was very clean and comfortable. The residence include a big pool around which you can have breakfast, lunch or dinner. We recommend it to anyone who wants to visit Santorini! Very friendly and helpful owners (even we have stupid questions and let us stay late afternoon at the pool area after checkout), good location (almost everything within 500m, beach is 200m), excellent pool. Helpful staff. Cuddly cats in the backyard. Near Perivolos beach! A rooster for neighbor waking you up in the morning. Very calm place. We had very good time. The room was nice and clean, generally a bit expensive, but all properties on the island are during active season. Helpful host (who met us from the port), clean and comfortable apartment with basic kitchenette (one hob). 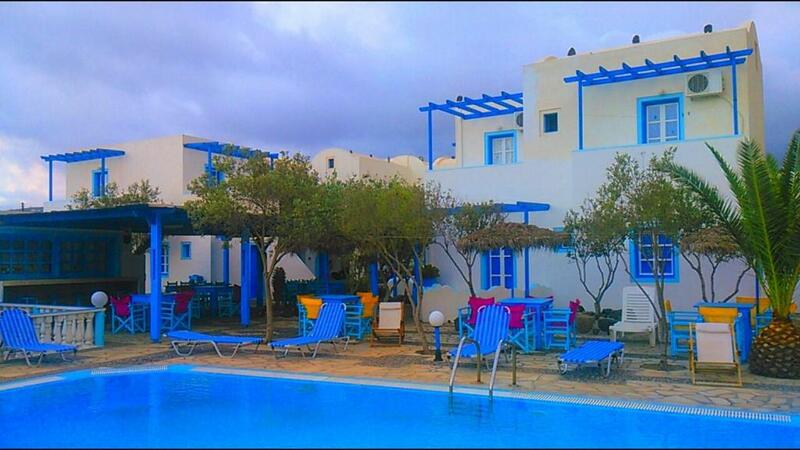 Lovely swimming pool area and a 5 mins walk from the beach. Also near a small mini market, bus stop and car rental. 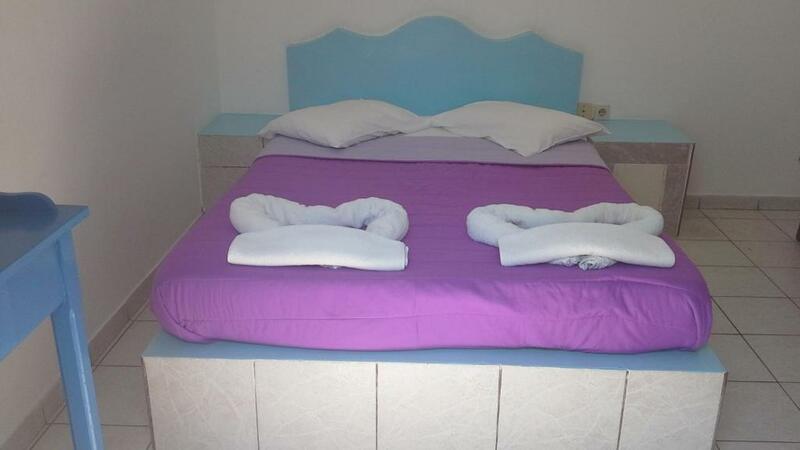 Lock in a great price for Studios Apartments Perivolos – rated 8.2 by recent guests! This whitewashed building of characteristic Cycladic style is located in a quiet area of Perissa, just 800 feet from the beach. 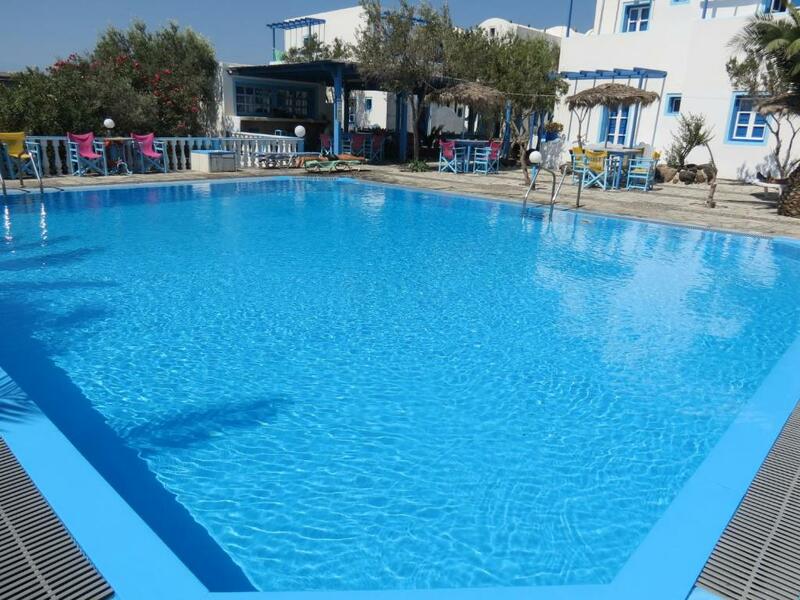 Studios Apartments Perivolos features a swimming pool with sunbeds, and a lush garden. WiFi is offered in all areas. 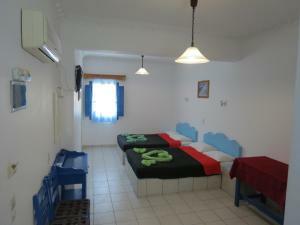 All studios, rooms and apartments include air conditioning, fridge and a TV. They also have a bathroom with a shower. Some also have a kitchenette with cooking hobs. Perivolos beach with bars and restaurants is within walking distance of Studios Apartments Privolos. Fira Town and Santorini Airport and both just 10 minutes' drive away. Free private parking is possible on site. 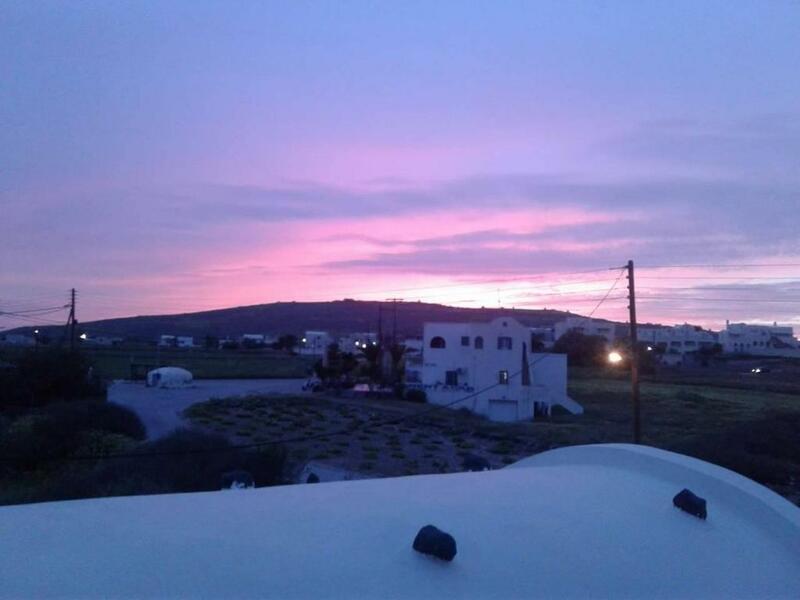 This property is also rated for the best value in Perivolos! Guests are getting more for their money when compared to other properties in this city. 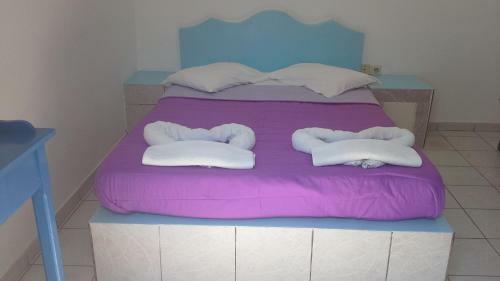 When would you like to stay at Studios Apartments Perivolos? Bright and air conditioned, this studio comes with a kitchenette and furnished balcony. Opening to a balcony or patio, this apartment features air conditioning, a kitchenette and a TV. Please note that this unit is located either on the 1st floor or on the ground floor. Bright and air conditioned, this apartment comes with a kitchenette and furnished balcony. House Rules Studios Apartments Perivolos takes special requests – add in the next step! Studios Apartments Perivolos accepts these cards and reserves the right to temporarily hold an amount prior to arrival. Please note that free shuttle service from the port and airport is provided for stays of minimum 2 nights. Please note that the reception closes at 21:00. Nothing particular. we had rented a car, which made us easy to travel to oia or elsewhere, but if somebody wants to visit without own car, it is a bit far away. a snackbar in the pool area.aproper shower fixture.unstained cups and an english channnei on the tz. its agreat area.a great pool. The beach is really close. There are a lot of beach bars around. Also one car rental company is just in front of the apartments. Very friendly staff. Close to the beach. I'm not a fan of shower curtains. 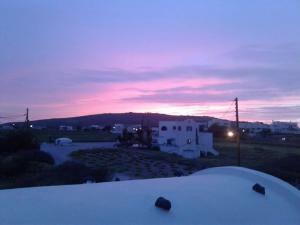 We travelled on 3 other cyclades islands and stayed in self catering apartments on all. This was the smallest apartment and the most expensive by far. For first time travellers, like us, to Santorini, it is more expensive than we anticipated. Plug missing from the handbasin. Slightly Spartan accommodation compared with the flashy stuff, Greek rather than International in style, therefore authentic, and price appropriate. Single ring heater/fridge/sink/crockery/cutlery. TV. Lockable safe. Friendly owners and cleaning staff. Nearby mini-market, and scooter/quad hire shop. Sheltered tables and chairs outdoors, with pool nearby. Quiet at night, in July at least. Beach about 450 metres walk, with plenty of sun-loungers/umbrellas (some free!) and modest-priced restaurants with friendly staff. Pleasantly lively rather than a rave-haven, many families simply enjoying themselves. Special 'Greek' nights entertainment most nights. Very close to nice beach. They were so kind and came to fetch us at the port.